Download "Lornshill Academy. Geography Department. 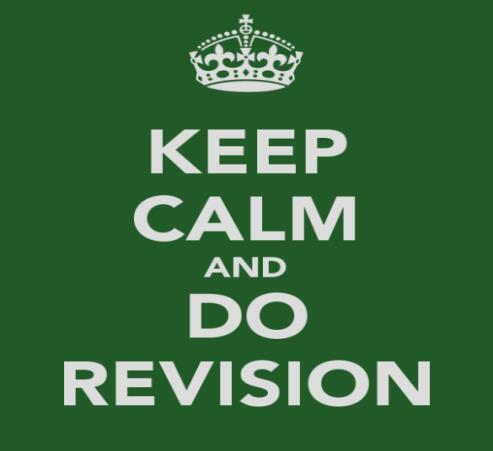 National Revision. Physical Environments Weather"
2 Weather Revision Sheets What you need to know: 1. Factors that affect the weather: a) latitude; b) altitude; c) distance from the sea; d) aspect; e) ocean currents. 2. Air Masses 3. Weather Station Symbols & Synoptic Charts 4. Depressions 5. Anticyclones 6. The effects of the weather 1. Factors that affect the weather a) Latitude: Generally, the closer to the equator a place is, the higher the temperature; the closer to the poles (North and South), the colder it is. Why is this? The sun s rays have to pass through more of the atmosphere at the Poles and so more of it is reflected before it can heat up the ground. The opposite is true at the Equator: b) Altitude: For every 100m above sea level you go up, the temperature drops by 1 degree Celsius. So places on flat, low lying land are warmer than places higher up. 3 c) Distance from the sea: Oceans and Seas take a long time to heat up, and a long time cool down, whereas land heats up and cools down much more quickly. Because of this, how close a place is to the sea influences the temperature: In the summer time being close to the sea makes it cooler. Go inland and it will get warmer. In the winter time being close to the sea makes it warmer. Go inland and it will get colder. The places shown in the picture are all at the same latitude. It shows us maximum and minimum temperatures at each place. Max temps are higher and min temps lower (i.e a greater temp. range) with distance from the sea. d) Aspect: Aspect is the direction in which land, a slope or a building faces. The aspect will affect how much sunshine a place receives and its temperature. In Britain, places with a southerly aspect (facing the south) will have much more sunshine and will generally be warmer than those with a northerly aspect (facing the north). 4 e) Ocean Currents: A warm current will increase temperatures in an area, a cold current will lower them. Western coastal areas are warmer in the UK due to a warm ocean current. 2. Air Masses that influence Britain: Where air is stationary for long periods of time, it starts to take on the temperature and humidity (or moisture) properties of the land or sea beneath it. This is how an air mass is formed. An air mass is simply a large chunk (or mass ) of air with the same temperature and humidity properties. The UK finds itself at the meeting point of 5 main air masses all of which can affect us from time to time. As our prevailing winds (most common winds) blow from the West or South-west, it is the Polar Maritime and Tropical Maritime air masses that affect us most often. Where these two air masses meet we get depressions forming. 5 3. Weather Station Circles & Synoptic Charts After recording the weather using various weather instruments, the information can be displayed in a weather station circle, and you may see these displayed on weather maps. They tell us about 5 different elements of the weather. A Synoptic Chart is a more detailed weather map which shows what type of weather system is moving over Britain. Synoptic charts often have weather circles shown on them. These circles describe the weather in a given location. The main weather element shown on a synoptic chart is air pressure. Isobar lines, which join up areas of equal air pressure, are drawn on these maps. The pattern these lines make shows areas of low or high pressure. 6 4. The weather in a depression (low pressure): A depression is an area of low air pressure formed by warm air pushing upwards over cold air. In Britain these normally move across the country from west to east. The most obvious signs on a weather map (or synoptic chart ) that you are looking at a depression are the fronts which bring rain: Occluded Front = sudden downpours Cold Front = heavy rain showers Warm Front = steady, continuous rain When you see these symbols on a weather map you know the question is asking about a depression. You should be able to talk about how the weather changes in different parts of a depression. There are 5 elements of the weather you can talk about: Temperature Cloud Cover Precipitation Wind Speed Wind Direction Temperature in a depression: Anywhere else - outside the warm sector will be getting colder air pushing down from further north Anywhere inside this triangle between the cold and warm fronts, will be getting warmer temperatures. This is the warm sector of the depression and the air here has pushed up from the Tropics. 7 Cloud Cover in a depression: Cloud Cover is at it s most (8 octas) anywhere underneath a front (it doesn t matter if it s the warm front, cold front or occluded front). Between the warm and cold fronts (in the middle of the warm sector), the clouds might clear up to 4/5 octas but then will cloud over again as the cold front passes. Once the cold front passes the skies will eventually clear up to 0/1 octas cloud cover as the depression moves away. Precipitation in a depression: This is similar to cloud cover (as the two are obviously linked to each other). Precipitation will definitely be falling anywhere underneath a front (and again, it doesn t matter what type of front this is). In the middle of the warm sector as the skies clear a little, the precipitation might slow down and turn to drizzle, before getting heavy again as the cold front passes. Once the cold front passes the precipitation will eventually stop as the depression moves away. Why is it cloudy and why does it rain at the fronts in a depression? Have a look at the diagram below. The following steps happen at the fronts: 1. The warm air is being forced to rise over the colder (heavier) air when the two air masses meet. 2. As it rises upwards it cools down. 3. This allows condensation to happen and clouds form. 4. Eventually, rain drops / ice crystals in the cloud will become too big and will fall downwards out of the cloud as precipitation. 10 freezing fog (as the cold ground chills the air above it). Occasionally in summer the heat can cause convectional thunderstorms. Wind Speed in an anticyclone: The isobars are always far apart in an anticyclone. This means that there are never any strong winds any wind there is will be calm. Wind Direction in an anticyclone: If there is any wind in an anticyclone, it always blows clockwise parallel to the isobars: HIGH 6. The effects of the weather Different types of weather are enjoyed or disliked by different groups of people: o Low air pressure (depression) in summer results in cool, cloudy, windy and wet weather which is welcomed by water companies which need water for their reservoirs but disliked by holidaymakers who want warm, sunny weather for sunbathing, swimming and other holiday activities. o Low air pressure (depression) in winter results in mild, cloudy, rainy, windy weather which is welcomed by water companies but disliked by outdoor sportspeople who want drier and sunnier weather for their activities. o High air pressure (anticyclone) during the summer results in hot, sunny and dry weather which is enjoyed by holidaymakers and sportspeople but disliked by farmers who need rain for their crops. 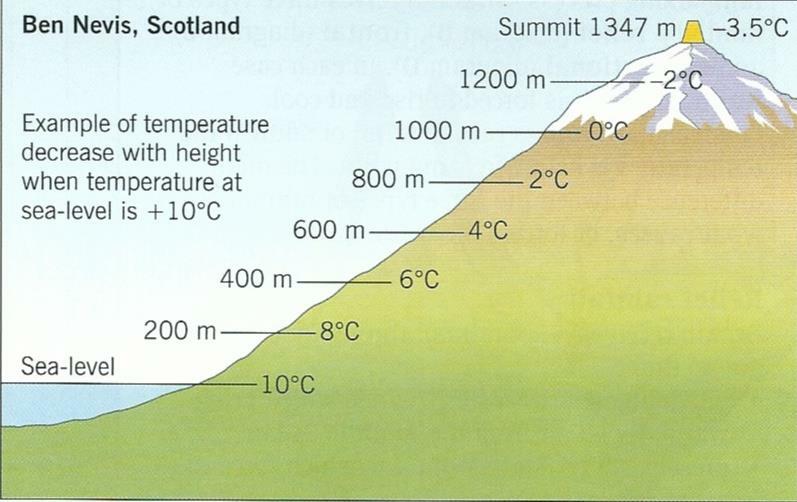 o High air pressure (anticyclone) in winter results in cold weather with snow and ice which is enjoyed by skiers but disliked by drivers and pilots. Snow and ice are disliked by drivers and pilots because they create difficult and dangerous driving and flying conditions. LESSON PLAN UNIT: THE EARTH S CLIMATES SESSIONS: 6. Ana Fructuoso Sánchez. Social Sciences teacher. Bilingual group. 1º ESO. IES El Palmar. Murcia. Purpose: To determine the dew and point and relative humidity in the classroom, and find the current relative humidity outside.